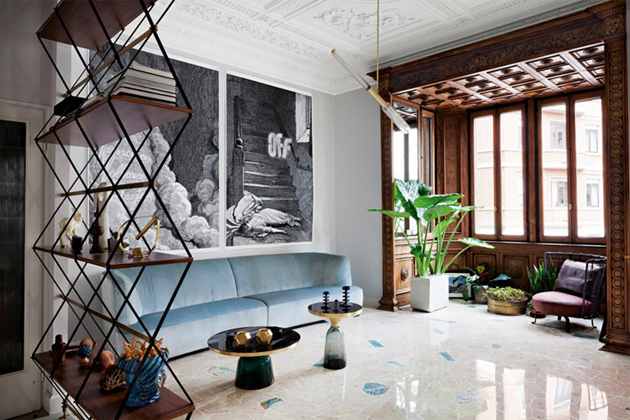 Welcome to the home of talented Italian designer Pietro Russo. 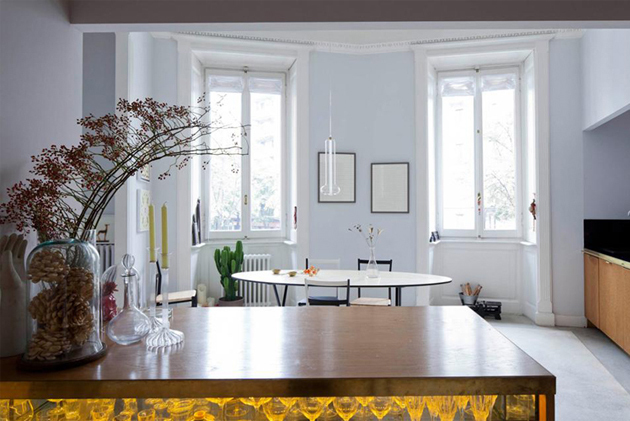 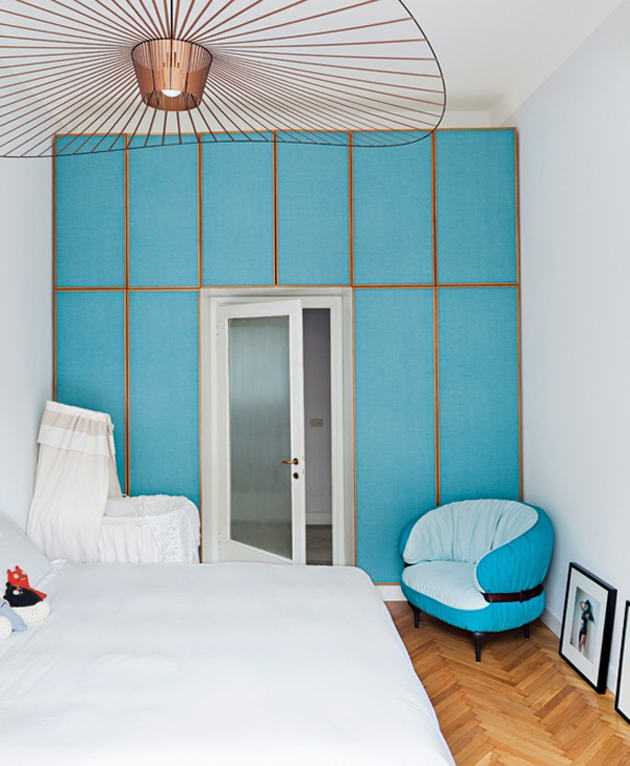 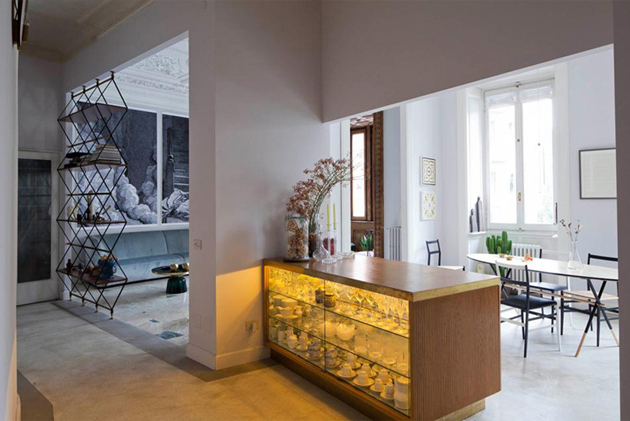 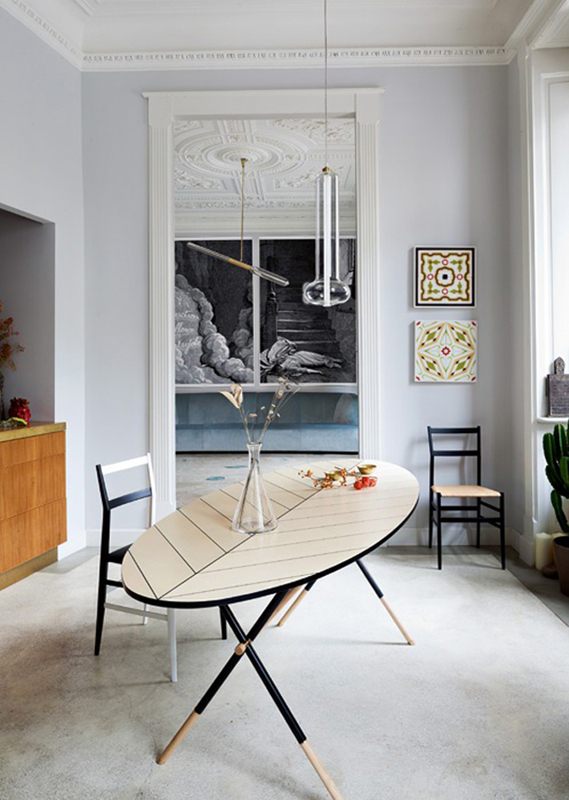 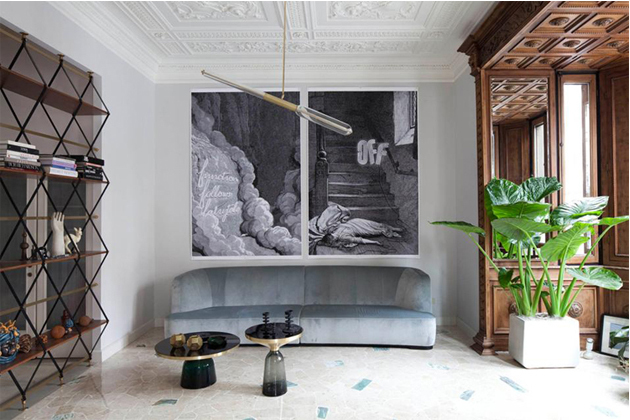 Not only he is the the creator of many of the furniture and lighting pieces you can find here, he is also responsible for a decoration and renovation of this 1920s art nouveau apartment. 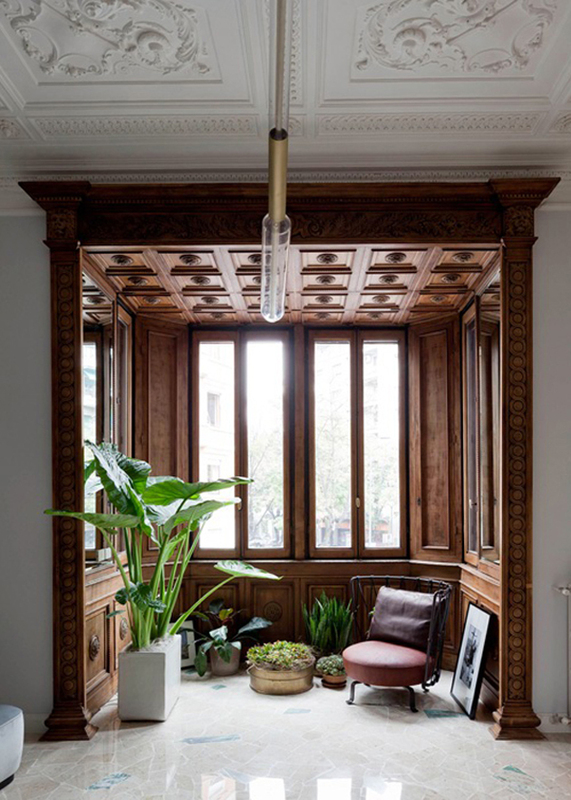 I really like the feeling of extravaganza and luxury in combination with the vintage elements, especially the wood paneling which is absolutely stunning.